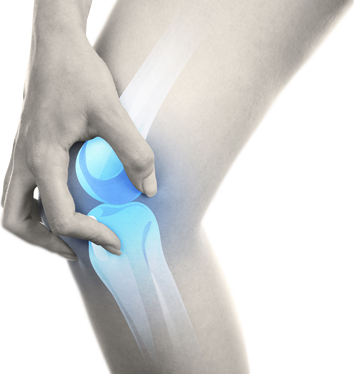 Knee replacementsurgery isnow a very common and successful orthopaedic operation, with the number of knee replacements performed each year increasing. In 2016, there were almost 60 thousand knee replacements performed in Australia. Knee replacements are performed when a knee joint has become so arthritic or damaged that it can no longer function without causing severe pain and discomfort. 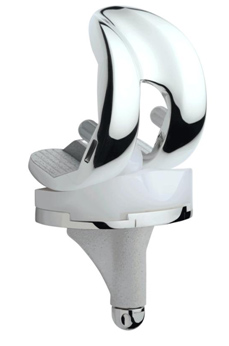 A knee replacement is the last resort when the above treatment options have failed. Technically, a knee replacement should really be called a “knee resurfacing”, as the knee isn’t replaced in its entirety. The only part Dr Benjamin Hewitt replaces is the worn-out surface cartilage. During knee replacement, these parts are removed and a new bearing surface, made of metal or plastic, is cemented in position. The aim of this is a pain free and mobile joint post-recovery. A knee replacement should really be called a knee resurfacing as not all the knee is replaced. The only part that I replace is the worn-out surface cartilage. During a knee replacement, these parts are removed and a new bearing surface made of metal and plastic is cemented in position. The aim is a pain free and mobile joint. Do I Need My Whole Joint Replaced? In most patients, only half of their knee is worn out, usually the inner side of the knee, and therefore only half of this needs to be replaced. This is great option for surgery, as a half knee replacement is a much smaller operation. This means a quicker recovery period, and often the knee feels better than after a whole knee replacement. What is Involved in Getting a Knee Replacement? Timing: Once you’ve decided on knee replacement, all you need to do is pick a suitable time and Dr Benjamin Hewitt will do the rest. Location: The best results post-knee replacement come from high volume surgeons working at high volume facilities. Dr Benjamin Hewitt performs his knee replacements at Hollywood Hospital. He firmly believes this is the best joint replacement hospital in Australia. Excellent nursing staff and state of the art theatresmakeit the ideal environment for your surgery and post-operative care. Day of surgery: On the day of your surgery, we ask you arrive at Hollywood Hospital early in the morning. The specialist nursing staff will check you in and prepare you for your operation. The operation is performed under general anaesthetic and takes 1 to 2 hours to perform. After your operation: Our aim is to make you as comfortable and pain free as possible. The day after your operation, our physiotherapists will commence your custom rehab programme and get you up and walking. Length of hospital stay: As a rule of thumb, after 3-4 nights you’re normally safe to walk around unassisted. Once comfortable and safe, you’re ready for discharge. We are constantly hearing this, and believe it or not, there are people who’ve had knee replacements and aren’t happy. Most people who’ve undergone knee replacement are improved, finding they can walk further, their leg is straighter, and they have little or no pain. Occasionally, some patients do suffer complications that can affect their recovery. Having said that, we firmly believe most patients who end up unhappy have had unrealistic or incorrect expectations. Can you only walk 200m before stopping due to pain? Do you take a lot of tablets every day for your pain? Do you have trouble sleeping due to pain? If the answers are no, then perhaps we need to consider alternative options. Total knee replacement is now a routine, major operation. It is a good option as a last resort for the severely arthritic knee. Contact us today for a consultation with Dr Benjamin Hewitt to discuss your options, or schedule your surgery.